This section will contain some information about various Dominican Saints according to the Dominican Calendar. St. Catherine of Siena, O.P. 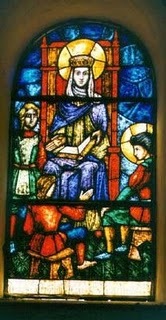 From her childhood St. Catherine had a tremendous love for our Blessed Lady. She daily attended compline in the Dominican church to hear the friars sing the Salve Regina every night as their last prayer and spent hours on Saturdays keeping the Virgin company at her Altar while listening to the Little Office of the Virgin recited by the Dominican Tertiaries. We know that St. Dominic would spend whole nights at the altar of the Blessed Virgin, praying and invoking the queen of heaven for his friars and their preaching, as Mary brought the word in to the world, becoming a channel of grace. Every Dominican has to see himself as an image of Mary, every Dominican is to bring the word into the world, to give Christ our flesh, but especially our voices to preach him near and far to the ends of the earth. Before preaching Dominic always invoked the Blessed Mother, for she is the wind which carries the word to implant in our hearts, the preacher of grace must invoke she who brought grace into this world. 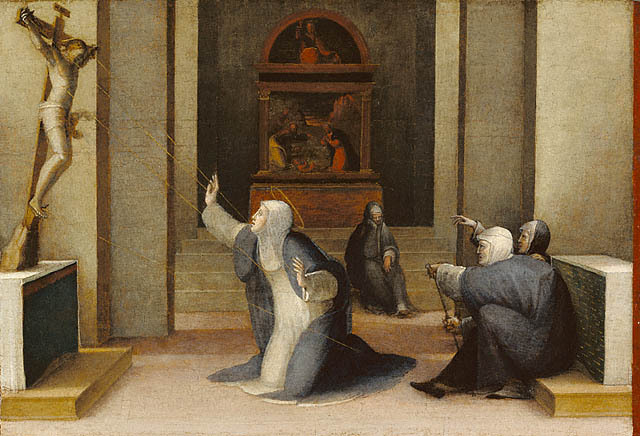 Naturally Catherine from her early childhood was saturated with the love the friars had for the Blessed Virgin, and this saturation of love for the Virgin would become a hall mark of her whole life, both in her writings and work. Nearly every letter Catherine wrote or dictated begins, ‘In the name of sweet Jesus and his most sweet Mother.’ If Jesus was everything for Catherine, Mary took fittingly second place, for many times she refers to her Lord as Jesus son of sweet Mary, always joining the son to his most holy mother. Catherine tells us in her dialogue that the Lord Jesus was the seed taking root in the field of Mary, and then she says, ‘Rejoice, O happy and sweet Mary, you have given us the flower of sweet Jesus. In another place Catherine tells her sisters how gracious God is to us, to have given us the sweetest fruit, which is Mary’s Immaculate Heart, a heart that loves us so much and how we show our love for her. The Lord Jesus called Catherine to live the first few years of her Dominican life in her own room, at home in her parent’s house. From here she would always council her family that she was spending this time in her little hermitage in the company of sweet Mary and her crucified son. Mary was teaching Catherine in these few years everything about her son’s life. We can imagine Catherine pondering the life of the Lord through the eyes of Mary, seeing his life in the company of she who knew him best. It was like in many ways the Dominican rosary. At the end of these enclosed years it was in a vision Catherine saw the Blessed Mother calling her over to her son. She held out Catherine’s hand and placed it in the hands of her son. The Lord Jesus we are told placed a ring on her wedding finger, while Mary held her arm, Mary gave Catherine to her son in marriage, Mary always leads to her son and never to herself. These years in the hermitage of her little cell where to prepare Catherine to enter the world and set fire to it with her love of Jesus and his Church. Mary was the signpost to the world for Catherine, now Catherine had to give Christ her hands and feet to enter the world, like Mary had formed Christ’s little hands and feet in her womb. In this Jubilee Year of the Dominican Order, may St. Catherine lead us to an intimate life of prayer with Mary, in whom the Word was made flesh and dwelt amongst us. From this intimacy, may the fire of God’s love renew the Order of Preachers under the mantle of the Virgin Mary. 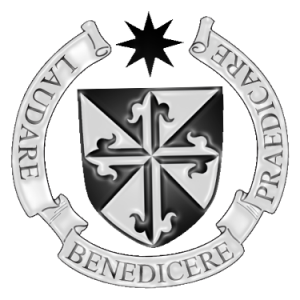 Lay Dominican of the Irish Province. 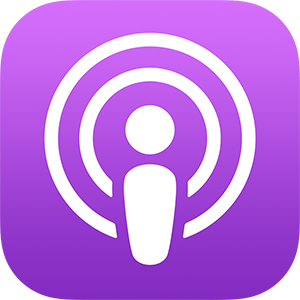 http://dominicans.ie/wp-content/uploads/2016/04/Tallaght-catherine-2.jpg 2657 1996 John Walsh OP http://dominicansinteractive.com/wp-content/uploads/2015/11/Crest-mod-300x300.png John Walsh OP2016-04-26 11:25:482016-04-15 11:29:22St. 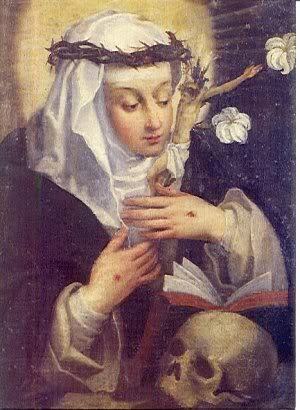 Catherine of Siena, O.P. Today Irish Dominicans keep the memory of one of their own brothers, Blessed Peter O’ Higgins, OP, Prior and refounder of the Post Reformation Dominican Priory at Naas Co. Kildare, who was martyred for his faith on this day the 23rd March 1642 at St. Stephens Green, Dublin. The soldiers hacked his body to pieces so that it could not be given an honourable burial. May he pray for his beloved Ireland and all who suffer for the faith throughout the world. Thirty-two friars of the Priory of Derry, and individual friars who died throughout the island of Ireland which include, Ambrose A Eneas O’Cahill, Bernard O’Kelly, Clement O’Callaghan, Cormac MacEgan, Daniel MacDonnel, David Fox, David Roche, Dominic MacEgan, Donald O’Meaghten, Donatus Niger, Edmund O’Beirne, Felix MacDonnel, Felix O’Connor, Gerald Fitzgerald, Hugh MacGoill, James Moran, James O’Reilly, James Woulf, John Keating , John O’Cullen John O’Flaverty, John O’Luin, Myler McGrath, P. MacFerge and his companions, Peter Costello, Raymond Keogh, Raymond O’Moore, Stephen Petit, Thomas O’Higgins, Vincent Gerard Dillon, William Lynch, William MacGollen, William O’Connor. Today around the world Dominicans are celebrating the Feast of our Holy Father St Dominic. A celebration such as this is not just an opportunity to remember the life and legacy of our founder; it is also a gift given to us by the Church in her liturgy to help us on the road to continual conversion, through the pattern of life laid down for us by St Dominic. In the short responsory from today’s Office of Readings we read that St Dominic is called a ‘man of fire.’ This fire that consumed Dominic was the fire of the Holy Spirit urging him on in the pursuit to win souls for Christ. How did our Holy Father communicate this fire to his followers if not through the pattern of life he left to them? At its deepest roots the pattern of this life is described as the vita apostolica; an apostolic way of life, modeled on the early Christian Community. The Friars were sent to preach the gospel in whatever situation they found themselves, convinced that the message of Christ had the power to heal and transform lives. The friars’ preaching needed to issue from an abundance of contemplation to be authentic and in Dominic they found the perfect example. 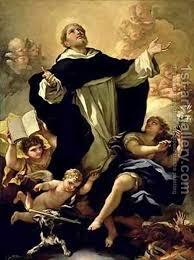 St Dominic wanted his sons to be contemplative apostles. Their life, like his, needed to be rooted in deep prayer, so that the message that they would communicate would come from the depths of their own relationship with Christ.In the process of canonization the early friars’ recount that Dominic rarely spoke except ‘about God or with God.’ This intensity witnessed by the brothers in the prayer life of Dominic inspired them to imitate their Father, because they realized that the fire that consumed Dominic was borne from his closeness to God; a closeness and intimacy that only comes about through an abundance of contemplation. 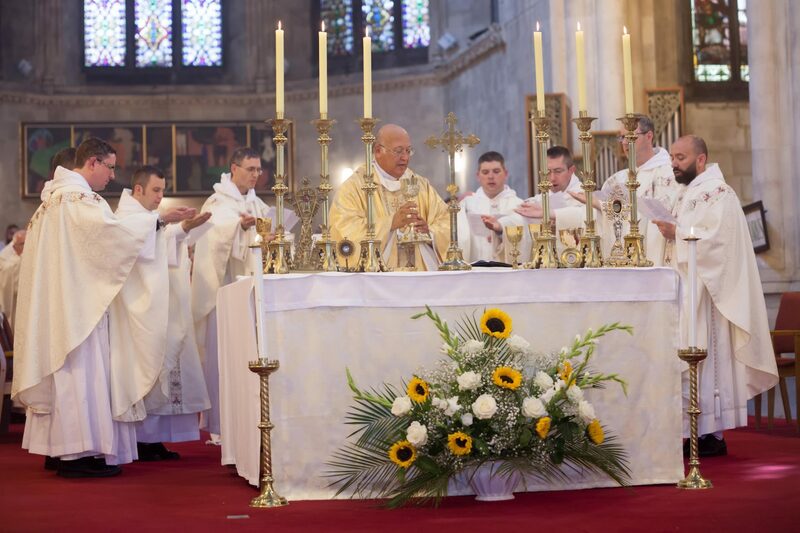 The primary vehicle that would enable this closeness would be the Liturgy of the Church. For Dominic liturgical life was a way of life that would be the well in which his friars could draw water for holy Preaching. It was the constant flow of the breath of the spirit moving from side to side in the choir. This is why we are told he went feverishly from side to side exciting his sons to sing more bravely and fervently. He understood that to be authentic in preaching one had to be formed and immersed in the ocean of the word of God. The regular canonical life with its deep focus on allowing oneself to be penetrated by the word would be the essential ingredient that would give flavor to the mouth of the preacher and preserve the religious spirit at the same time. Born in a town called Bosco in Northern Italy, and raised in the humblest surroundings of poverty and obscurity, Anthony Ghislieri was born to poor parents in the year 1504. His Baptismal Name was Anthony, as he was born on the Feast of St Anthony of the Desert (Jan 17th). From the first moment of his election Pius V saw as his top priority not so much the battle from without but the need for spiritual renewal within, starting with the hierarchy. Leading by example he endeavored to inspire the Cardinals to a renewed life of Christian simplicity and fervor. He established regular life in the apostolic palace, gave conferences to his court and the Cardinals on the life of virtue that would be needed to reform the Church. Always clothed in his Dominican habit, he slept on a hard pallet and he kept continual fasts according to the rules of the Order, knowing that only sacrifice and a life of holiness would draw down the graces necessary for the re-invigoration of the Church. His table was characterized by its extreme frugality so all saw in him a man devoted to the imitation of the life of Christ shown by his Holy Father Dominic. He had a deep love for the Rosary and for this he was called ‘The Pope of the Rosary.’ Likewise he was called the “The Pope of the Crucifix” loving with all his heart the Sacred Humanity of Christ crucified. In the Saviour’s crucified humanity he saw the deepest expression of Divine love. 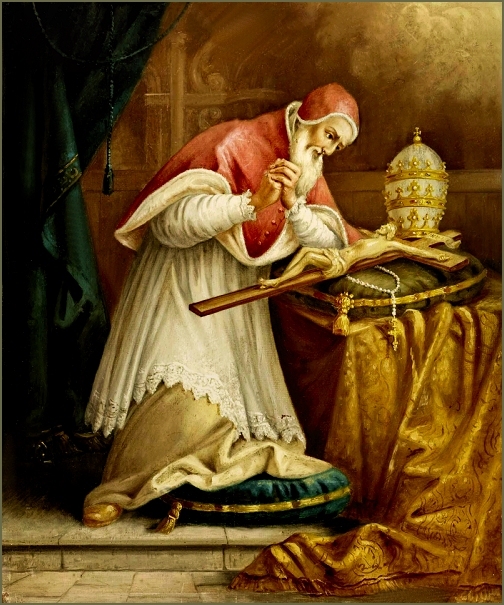 On May 1st 1572, Pius V clothed in his old Dominican habit, and clutching his Rosary beads made one last request of his Lord: “Increase my sufferings but also increase my patience.” This saintly Dominican Pope shows us that the path of renewal remains the same in our day; interior conversion of life and the life of holiness practiced by all the faithful who are called by their Lord to be light to the world. He challenges us not to settle for mediocrity but to strive to be the saints of the third millennium, echoing the challenge given to us by Pope St John Paul II. This is the secret of her sanctity. Catherine allowed this truth to truly take root within her and in it she could never be overcome by the enemy, because she knew that she was totally dependent on God. The saints are those who tread this path of humility and recognize their weakness in the sight of God and allow themselves to be transformed by Him. This is the pearl of knowledge hidden in that ocean of God’s love which we must discover if we are to progress in the spiritual life in the way that the Father desires. How radically different the virtue of humility is to the values of modern society which divinizes the exercise of self will, encourages self-promotion, and self-sufficiency. Every single one of us has been created by a God who desires union with us, not only in the life to come but even now as we journey in grace through this life. Catherine knew the path that leads to this union. She walked the narrow path of humility; a path that would lead her ultimately into the heart of Christ who is ‘meek and humble of heart’ (Mt 11:29). From this heart which was burning with the fire of love for mankind Catherine drew her strength when she labored far and wide for the Kingdom of God. Catherine participated to such a great degree in the life of Christ she was able to say, “My nature is fire.” It was her desire that this fire of love would consume all who came into contact with it. What can St Catherine teach us today? She is a Saint for the New Evangelization in that she lived the contemplative life and the apostolic life, teaching us that all apostolic efforts must be watered with the grace that comes from a life of prayer. She teaches us that the humble recognition of our nothingness gives much more glory to God than the great efforts of a proud soul. Let us all make that space within us to be silent before God amidst the busyness of our daily lives, so that He may teach us the science of self-knowledge. St Catherine tells us that we cannot give what we do not have, therefore, may all our evangelizing efforts, all our external activities as Christians be an overflowing of a life which is first and foremost rooted in Christ. Jordan is always spoken about in light of the amount of novices that he attracted to the Order, some say over a thousand. It is a ‘family joke’ that when it was made known that Jordan was coming to a particular town, the prior of the convent in that town would instantly purchase copious amounts of cloth for the sure soon-to-be brothers. Men prayed to resist his fiery eloquence, mothers tried to hide their sons from his preaching and universities were infuriated because their classrooms were emptied of its most brilliant students and eminent professors. Among those who came to the Order through his preaching were two future popes, two saints, numerous blessed and many others who in their intellectual ingenuity shone like “the brightness of the firmament” drawing “many to righteousness” (Dan 12:3). What was Jordan’s secret? There is no doubt that his affable and magnanimous character was a draw but one has to be careful not to reduce Jordan’s appeal to his charming and energetic personality. The secret to his preaching success was his sanctity, his intense union with the Lord and his passionate witness to the rule of life that he followed so intensely. 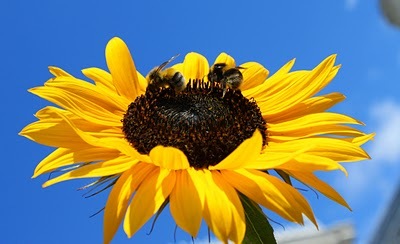 The authenticity of his life and his love of the Lord, put simply, his holiness was the true “honey” for the bees. His words of fiery eloquence was simply the chariot for the Holy Spirit to touch many hearts, moving them to listen to their call to discipleship. In a letter written to Bl. Diana d’Andalo Jordan asks “Who would be so foolish as to allow himself to die for a lack of a food which he could simply have by desiring it?” Jordan answers “send for your spirit there beloved, to the flowers of heaven’s fields which never fade, that it may draw honey from them and live, set aside of what it gathers in the hive of your heart.” Here Jordan is reminding Diana (and us) that the good of our souls s, the very ‘thing’ that keeps us going in all our trials and sufferings, is only a ‘desire away’. The desire of our soul is Jesus himself, the life of our soul. He is the real ‘honey’ that attracts us. Jordan therefore is only ‘honey for the bees’ because he feeds on the heavenly honey. It was the presence of Christ in Jordan that people were attracted to the Order. To whom do we belong? 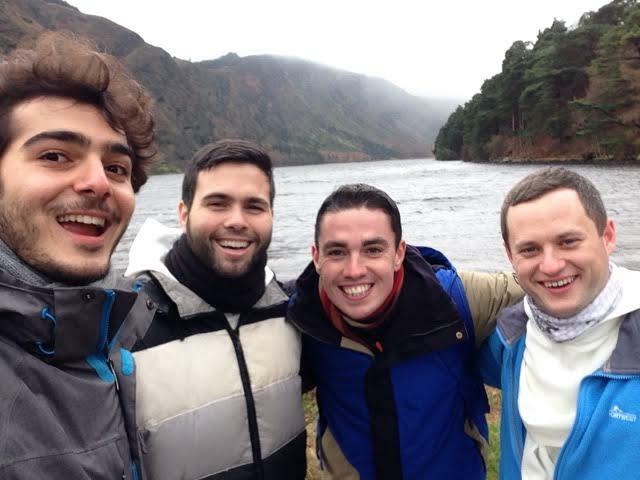 This is without doubt the central question of one’s spiritual life – do we belong to the world with its boisterous demands, worries and vain promises of satisfaction or do we belong to God? St Catherine’s life proclaims to us that man’s deepest hunger for belonging and identity – ‘to see myself as I truly am’ is something only sated in the loving encounter and union with God Himself. In the ‘Cell of Self Knowledge,’ Catherine discovered her true self in the discovery of being the fruit of God’s pure love, as He tells her; ‘It was with Providence that I created you, and when I contemplated my creature in myself, I fell in love with the beauty of my Creation (Dialogue,135). http://dominicans.ie/wp-content/uploads/2012/02/catherinesiena.jpg 410 300 Luuk Dominiek Jansen OP http://dominicansinteractive.com/wp-content/uploads/2015/11/Crest-mod-300x300.png Luuk Dominiek Jansen OP2013-04-29 20:04:132013-04-29 20:04:13To Whom Do We Belong? Blessed Jane was born in the prominent Aza family and married Felix de Guzman. 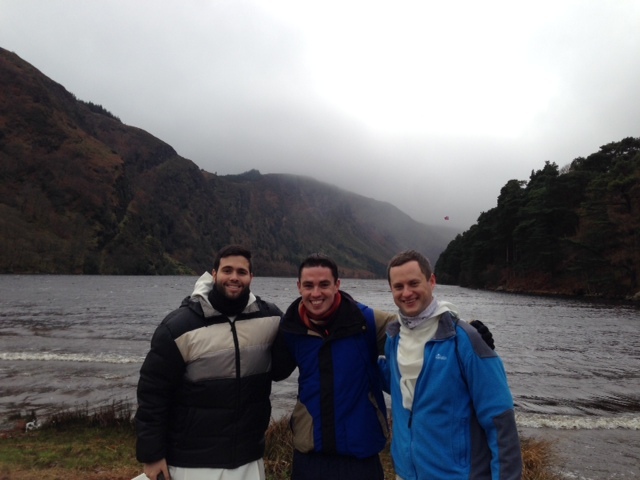 Three of their Children spent their lives in the service of the Church – Anthony, Mannes and Dominic. An early source describes her as ‘virtuous, chaste, prudent, and full of compassion for the poor and the afflicted; among all the women of the region she was outstanding for her good reputation.’ She died at Caleruega, Spain, at the beginning of the thirteenth century.